Training and conditioning the horse is an art form that has been developed and advanced over hundreds of years, writes Sally Copeland. As science and technology progress information becomes available which can be used to improve training regimes and in turn performance. 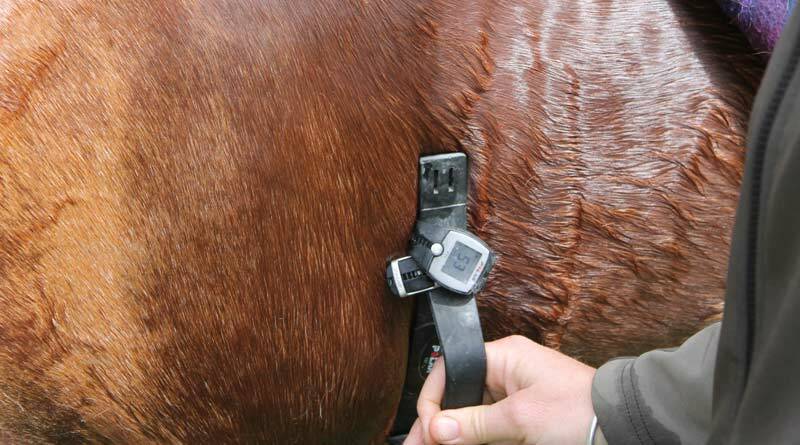 A horse’s heart rate can be measured using a heart rate monitor to gauge fitness levels and assess training programmes. This information can minimise injury by avoiding overloading and fatigue, but also to ensure the horse is being suitably stressed to increase condition. Knowing your horse’s normal resting heart rate is useful tool as an elevated heart rate can indicate that the horse is in pain, under stress, or suffering from an illness. The horse’s heart, commonly referred to as the “engine”, is vitally important to a horse’s performance. The horse has a maximal heart rate between 200 and 240 beats per minute (bpm). The maximal heart rate cannot be increased with training. However, the resting heart rate can be lowered and the recovery rate can improve with a sound training regime. Using a fitted heart-rate monitor when training allows the trainer to know what level the horse is working at. On average, if the heart Rrate is less than 150 bpm the horse is working aerobically so there is enough oxygen transported around the body to aid energy production. When the horse is pushed to work harder and the heart rate exceeds 150 bpm, the horse’s muscles are working too hard to rely on oxygen to burn fuel, known as anaerobic respiration. Recovery rates are used to measure how the horse is responding to the training programme. The heart rate should be taken soon after fast work and again after a set time of about five minutes. These two results should be recorded and compared to the next training session. If the recovery rate is improving the horse is ready to move up to the next level of training. As the horse becomes fitter, a higher Vhr result will be reached for that given heart rate. The recovery rate should be used in conjunction with the Vhr to ensure the horse is not being overstressed by the workload. Heart-rate monitors range from the most basic hand-held devices to on-board monitors that store information for downloading onto computers. Heart-rate monitors are easy to use, give accurate readings and eliminate human error.